Protection for the Bears Ears cultural landscape emerged from the hearts and minds of Utah Navajo people more than six years ago. In 2010 former Utah Senator Rob Bennett asked Native people in San Juan County, UT, if they had any interest in how public lands were managed. White Mesa Uta and Utah Navajo grassroots people responded that the depth of their connections are so deep that they had been afraid to speak out for fear of what might still be taken away. 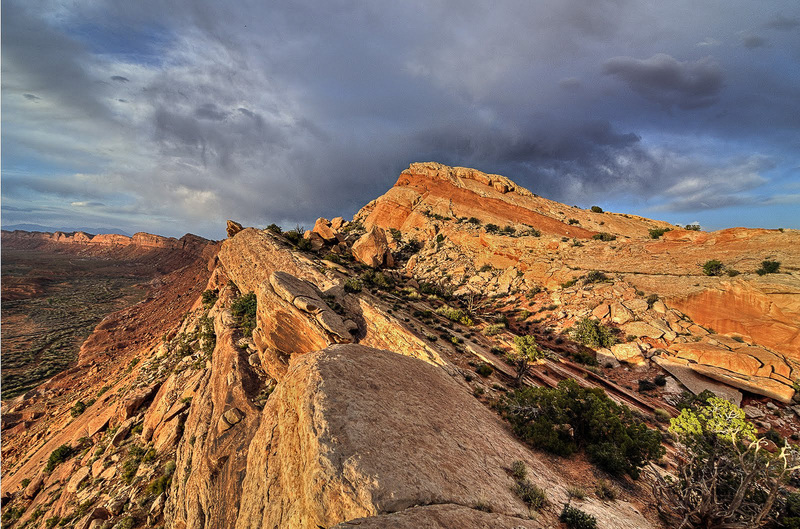 The ancestral lands of Bears Ears lie outside reservation boundaries and hold special historical and spiritual significance for regional Native people (Overview). 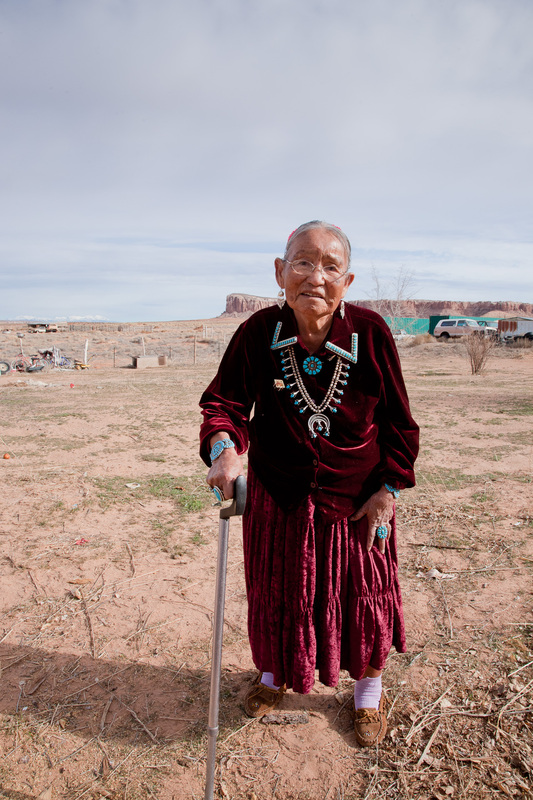 Utah Diné Bikéyah grew from local Utah Navajos elders’ and leaders’ caring and concern for this area. Over time other local tribes joined in and strengthened our efforts. UDB participates in land planning initiatives and stakeholder engagement processes to ensure that future access, uses, and management of federal public lands in San Juan County support traditional practices. Linked below is also a “Bears Ears Timeline” document that details important milestones in the development of the proposal as well as copies of many of the letters submitted by UDB, the Navajo Nation to San Juan County, Congressman Bishop, and Congressman Chaffetz. Year one was all about listening to our elders, traditional leaders, and the grassroots people who know the land, the wildlife, the stories, and traditions. We asked every Chapter House for permission to carry out the work of land planning and each one delivered resolutions of support. As UDB gathered knowledge from elders, we focused on listening in a scientifically sound way. Our task then became communicating our cultural needs and stewardship values to elected officials who were compiling a land-use bill. All seven Chapter Houses in Utah endorsed our draft proposal, which unfortunately was never delivered to Senator Bennett because the conservative Tea Party movement forced him out of office. UDB continued listening to the people and prepared for the next politician, who we predicted would soon be back. In year two, UDB completed a second round of elder interviews and began to engage politically as a voice for Utah Navajos in the early stages of the Public Lands Initiative process (PLI). From the interviews we had conducted with local elders and traditionalists, we created the Diné Bikéyah book designed to answer a single question that weighed heavy on our hearts: Will non-Native people understand and listen to our off-reservation request? We integrated photos and spoke from our hearts. We asked our most esteemed leaders, Peterson Zah and Senator Bennett, to endorse our cause. 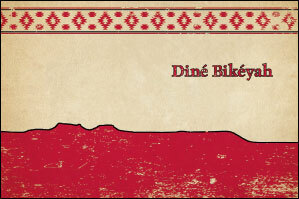 UDB gave copies of the Diné Bikéyah book to people on all sides of the political spectrum, thereby publicly proclaiming Native people’s deep ties to all lands beyond the reservation. The Navajo Nation President also personally sent a book to President Obama and asked him to declare the Bears Ears region as a National Monument. In year three, UDB officially formed as an organization under our fiscal sponsor (Round River Conservation Studies, which initiated the project). We also signed an Memorandum of Understanding with the Navajo Nation and spent the entire year convincing the Navajo Nation and San Juan County to enter into an 18-month Joint Land Planning agreement. Both governments agreed and signed an Memorandum of Agreement to identify conservation areas, set aside wilderness, propose mineral zones, and pursue economic development opportunities. This process was poised for success, but developed cracks early on that eventually caused it to fall apart. We envisioned a political solution too good for any Congressman to pass up. The headline would have read, “Tribes and local County Commissioners resolve land-use challenges, legislation is signed by President Obama.” At every step, we informed San Juan County officials that our back-up plan was to seek a National Monument designation through the President if the legislative process failed. The Navajo Nation and UDB unveiled the Bears Ears proposal in April after 16 months of data analysis, policy review, and decision-making by leaders at all levels of tribal leadership: local communities, Chapter Houses, and Window Rock. Ours was the first government proposal on the table in Congressman Bishop’s Public Lands Initiative. Most every official involved in the PLI was at the meeting and we carefully detailed the Bears Ears proposal development process, as well as why and how decisions were made. 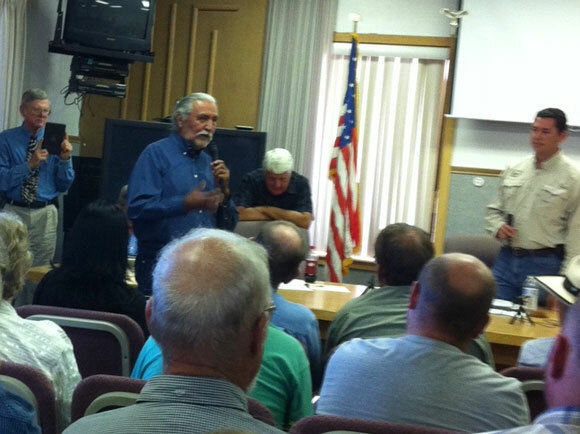 San Juan County was scheduled to share its proposal two weeks later, but cancelled their presentation saying that the Navajo plan was “months if not years ahead” of San Juan County’s plan, and they needed to do more planning. More than two years passed before we saw their plan. Congressman Bishop missed his first of nine total scheduled PLI unveilings in August, 2013. In hindsight, the day we shared the Bears Ears proposal seemed to mark the day when UDB went from being treated as an ally and partner, to being ignored and shut-out of the public process by San Juan County. Frustrated by the PLI process, our grassroots Native leadership team decided it was time to turn to the sovereign tribal governments for help in securing protection for this sacred landscape. We began by approaching the Ute Mountain Ute and Hopi Tribes. In year five, San Juan County appeared be finishing its land-use plan and, at the end of the year, ran a 45-day public comment period, which resulted in overwhelming support for the Bears Ears proposal: The Bears Ears proposal earned 64% of the total comments of support. Sadly, San Juan County Commissioner Phil Lyman decided to spend his fiftieth birthday in May leading an illegal armed militia ATV rally into Recapture Wash, which is revered by Tribes as the center of ancient ancestral Puebloan culture. This act drove away local Native people, who up to that point had been willing to work with Mr. Lyman on lands issues. It also eventually led to a judge sentencing him to jail. 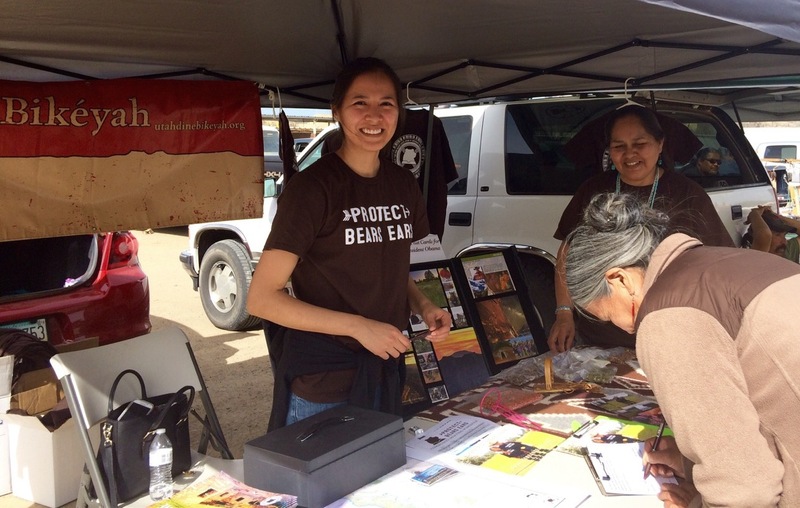 In year six, UDB recruited Ute Mountain Ute Board Member, Mary Jane Yazzie signaling an important broadening of inter-tribal support for Bears Ears. 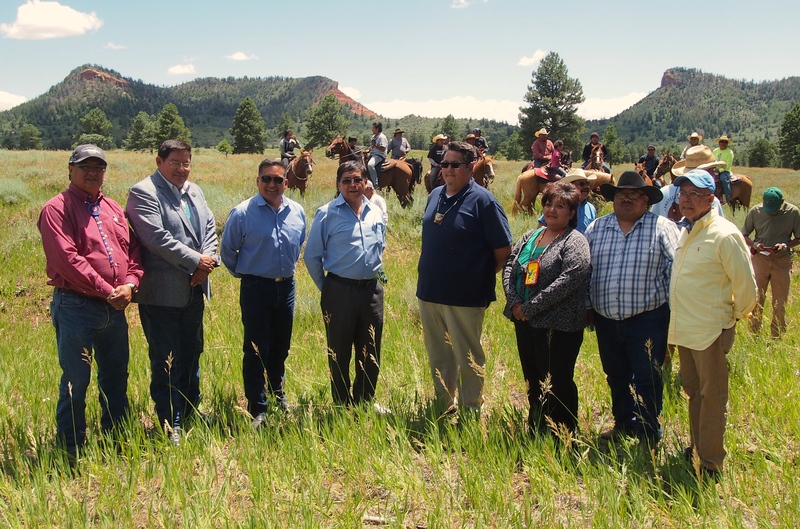 Shortly before the first Summer Gathering at Bears Ears, the Bears Ears Inter-Tribal Coalition officially formed, uniting five Tribes—Ute Mountain Ute, Uintah Ouray Ute, Hopi, Zuni, and Navajo. 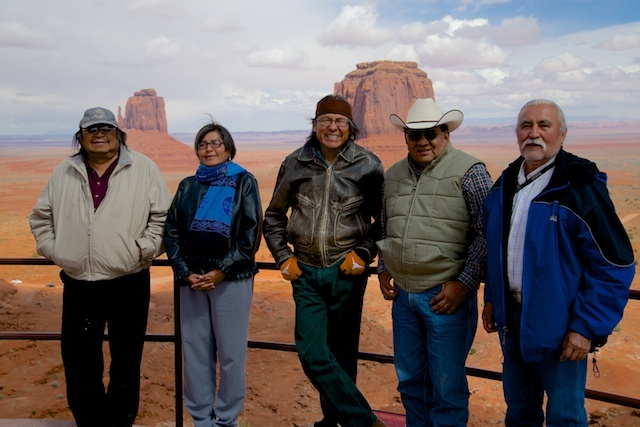 Together these five Tribes issued a powerful call for the protection of Bears Ears. Spurred to action by the popularity of the Bears Ears initiative among Native communities, the Coalition soon crafted and presented the impressive Bears Ears National Monument proposal in Washington, D.C., bringing this historic initiative to national attention. 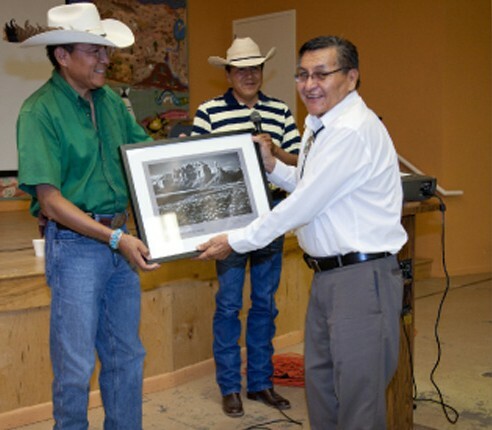 The National Congress of American Indians formally endorsed the proposal, and thus Bears Ears gained the support of 270 Tribes from across the U.S.
Today and beyond: UDB continues to support the tribes in working on a government-to-government basis with the Obama administration and federal agencies, to achieve a permanent protective designation for Bears Ears that ensures Native values and traditional uses are protected for future generations of all people. In the long term, we hope to share the knowledge, experience, and tools we gain through the Bears Ears initiative process with other indigenous groups who seek protection for their important cultural lands. 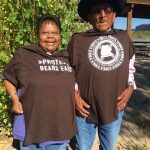 Native Americans are determined to see the Bears Ears cultural landscape protected as a National Monument, and UDB will continue to support every step of that endeavor.